Each brush has a short natural wooden handle with a green gloss finish, sized just right for watercolor painting, and a seamless, polished aluminum ferrule. 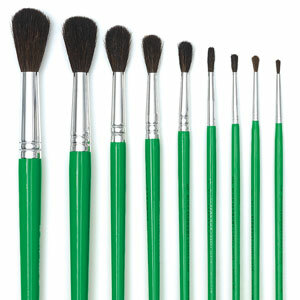 Economy Camel, Round, Canister of 120 — Contains 120 Round brushes in sizes 2, 4, 6, 8, and 10. 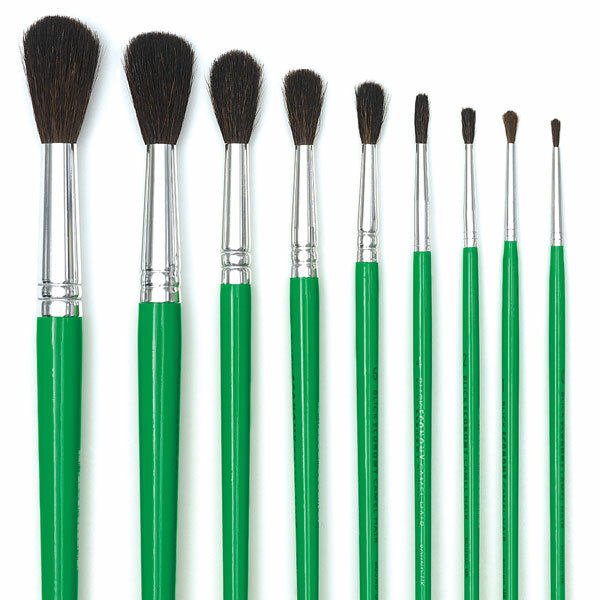 Economy Camel, Round, Canister of 144 — Contains 144 Round brushes in sizes 1, 2, 4, 6, 8, and 10. Round, Set of 9 — This set includes sizes 0, 1, 2, 4, 6, 8, 10, 12, and 14.